One thing that everyone has to recognize in the world of digital marketing is the fact that trends constantly evolve together with the market. Just take a look at the example of voice search. Just a few years back, it was this feature that everyone knew about but no one really used. Then, this technology was vastly improved both by Google’s effort and the development of mobile sensor technology. Fast forward, today about 41 per cent of adults and 55 per cent of teens all over the globe use this function on a daily basis. A similar thing is currently happening with Facebook story ads. Previously, stories were a trend that most people loved on Instagram but haven’t really used on Facebook but now, things are taking a turn once again. First of all, there are 2 billion people on Facebook, which means that even if the slightest portion of this population adopted the habit of watching stories, it would still be a major demographic segment. On the other hand, the percentage of people watching them isn’t that insignificant either, at about 150 million users. That being said, there are several things you need to learn about Facebook story ads in order to exploit this trend to its maximum potential. First of all, you need to understand that even multi-billion dollar brands like Facebook are not sparred of the FOMO phenomenon – the fear of missing out. Here, however, the fear is justified with numbers and financial ramifications. Think about it, Instagram stories are seen by about 400 million people, while stories on Snapchat are seen by 191 million. With that in mind, it would have been absurd if Facebook was to completely ignore this feature and its usefulness. Nonetheless, as the flagship of the social media advertising industry, Facebook also had to find the way to one-up this game, by making everything somewhat more immersive. 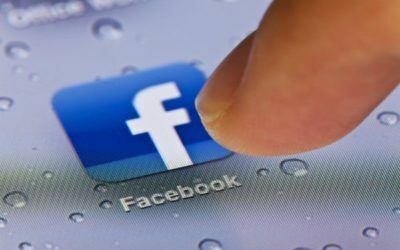 For Facebook as a platform and organization, this will lead to a massive increase in ad revenue. However, before they get there, they’ll have to deal with the fact that Facebook’s stories currently have a somewhat lower level of monetization. Nonetheless, with an extensive promotion campaign, this might take a drastic turn in the nearest future. What will this mean for advertisers? First of all, these stories offer the same targeting options as regular ads, as well as the same awareness and traffic. The difference may lie in conversions and lead generation, which is where unescapable ads are expected to have an edge. The issue with this lies in the fact that they may require a greater degree of technical expertise, at least if you’re to apply them to their full potential. This is why we can see more and more small businesses looking for specialized Facebook marketing agencies and outsourcing this function. Since they lack technical and industry-specific prowess to handle this situation on their own, this is definitely the only course of action left for them. Perhaps the biggest advantage of a story lies in the fact that it’s a much more immersive format. Think about it, one of the reasons why all those limited-time discounts work is because they create a false sense of urgency. Same goes for stories. They last for only 24 hours and you have no way of knowing when you’ll encounter the same ad again. This is where all their competitive advantage comes from and it’s definitely not something a small business can afford to miss out on (again with the FOMO). At the very end, you need to understand that you can’t just try to wing it when preparing your Facebook ads campaign. You need a strategy and while this field may be fairly new on Facebook, copying veterans in Instagram and Snapchat marketing is always a viable option. Therefore, those who want to get the maximum value out of their Facebook story ad strategy, need to tailor it with considerations to people in similar fields. Even if the ad is unskippable, forcing your audience to sit through it is not your objective. What you want is to captivate their attention from the first second. Keep in mind that you have only 10 to 15 seconds to make a great impression on them. Another place that you could study is the old (now non-existent) platform known as Vine. While this particular short-form video hosting service wasn’t exactly a story of success, some of the lessons learned from it can be applied even today. At the very end, you need to embrace the fact that the world of Facebook story ads is bound to evolve in the nearest future. Whether you and your company manage to squeeze an optimal profit from this trend depends on your willingness to prepare ahead of time. All you have to do in order to stay ahead of the curve is to learn how to anticipate change instead of reacting to it once it finally occurs. 8 Actionable Tips to Get More Instagram Followers… For those who want to master Instagram marketing in light of these changes, let's explore a few best tips suggested by experts in this field. Are you willing to give up social media for the rest of the month?